Welcome! Welcome! to Nick Johnson’s online portfolio! 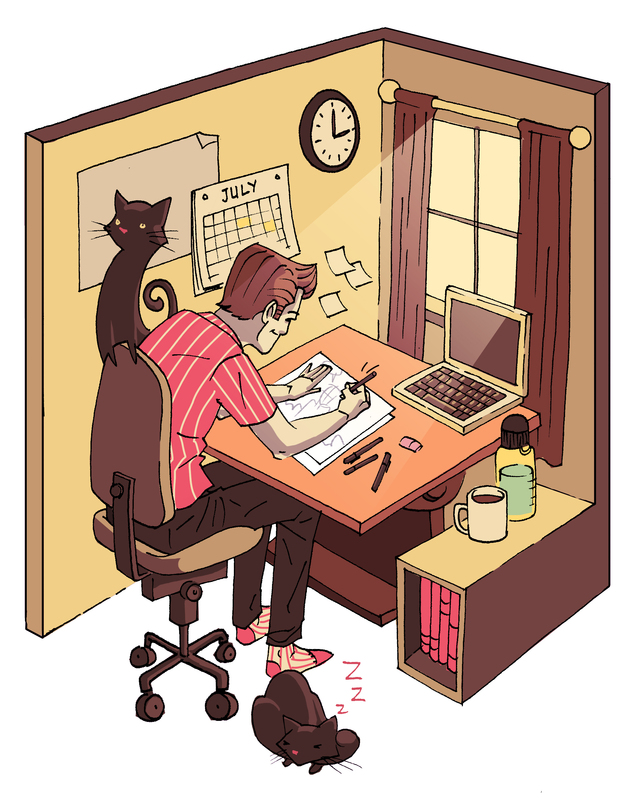 Nick is a Calgary AB based illustrator and recent ACAD graduate, majoring in Illustration. He has experience in the fields of editorial illustration, children’s illustration, comic books and graphic design. He has also created concept art and storyboards for short films and music videos. With strong ties to the music scene, he has designed album covers and interiors, band portraits and mascots, and animated music videos. Enbridge, Swerve, Beatroute, Lorimer, Science Alberta, Child Safe Canada, Zeroes 2 Heroes, Image Comics and more.